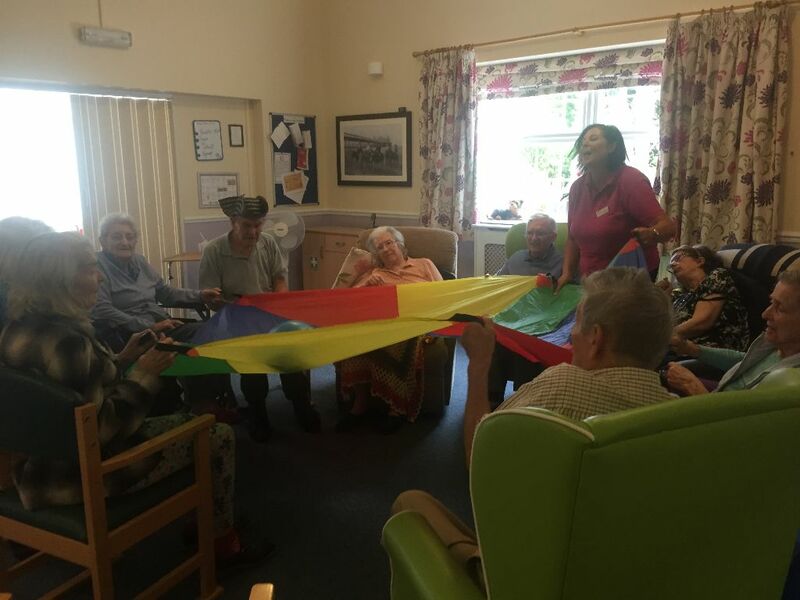 It’s not what you think, we did not jump out of an aeroplane to have a fun activity, but we played with a very colourful parachute and a ball in doors. You had to be present to understand how much fun the Residents and the Staff (!) had, lifting the parachute, or throwing and catching a ball. I strongly believe that using a parachute in activities promotes social interaction and co-operation. It also helps with coordination and is a very encouraging exercise, every player enjoyed. We had a little trip to see them in Bashley, just outside New Milton. We had a lovely walk around all sorts of animals, but the Alpacas were a special attraction. 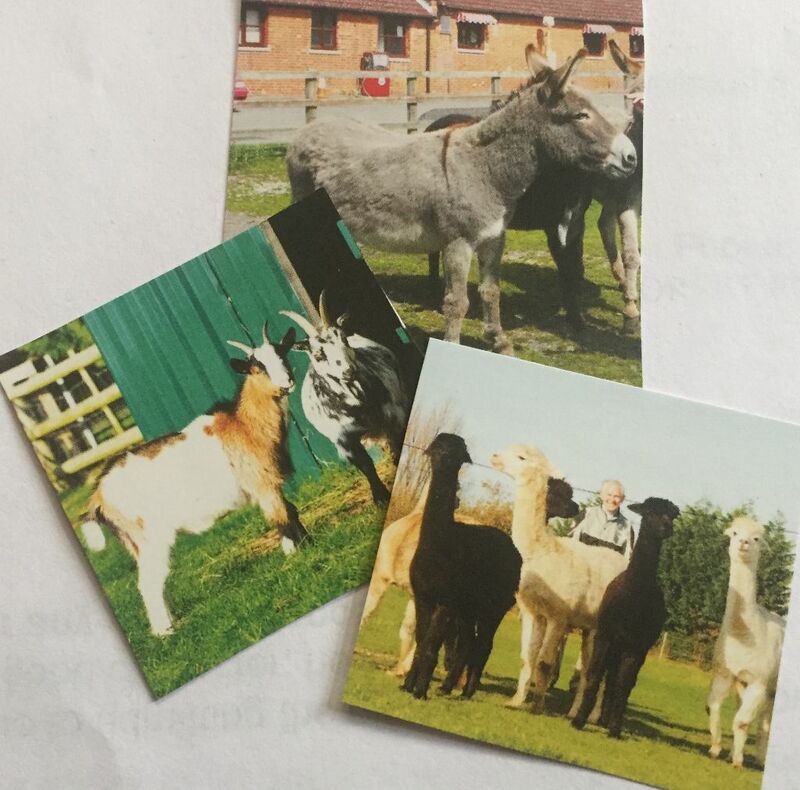 One of our Residents knew all about them and gave us a little lecture remembering her time in South America. 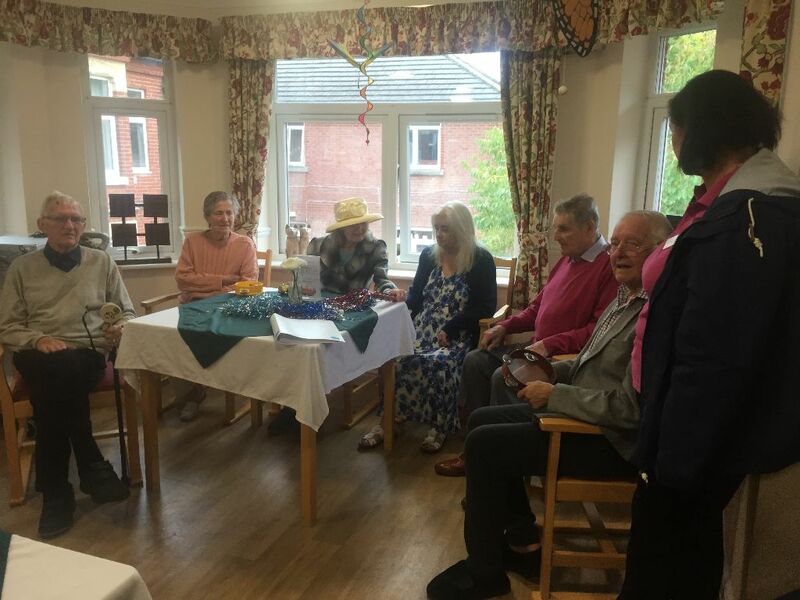 Residents from Birchy Hill teamed up with Residents from another Care Home and have regular meetings here and there. 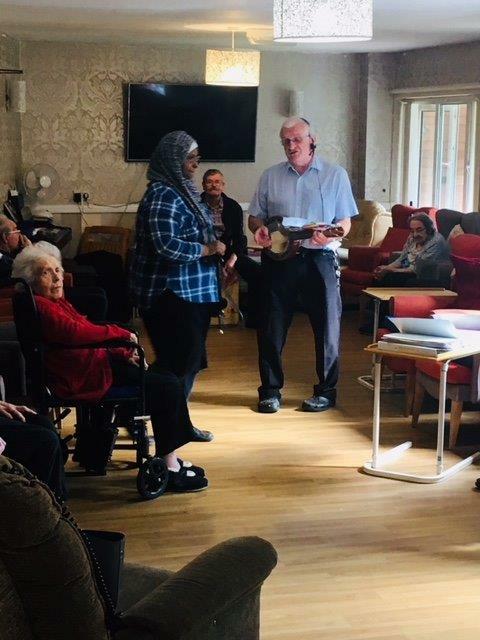 Last week we were invited to join a singing class in Ashley Lodge, which was great fun for everyone. Our best singers were on at the start and were showing off with their knowledge of all-time favourite songs. 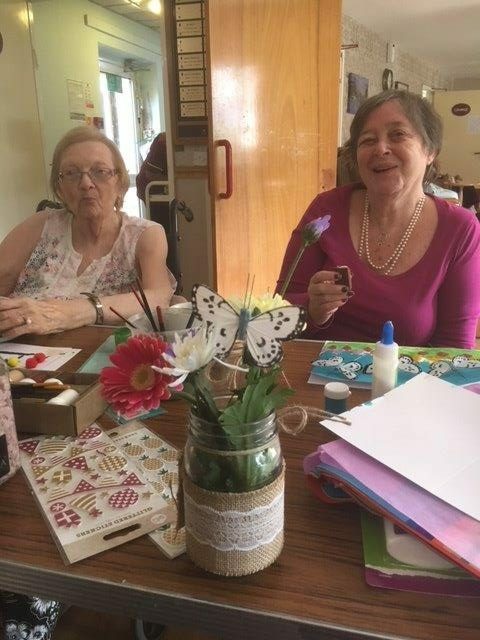 We are already looking forward to meeting Ashley Lodge Residents for some activities in our lovely Home.